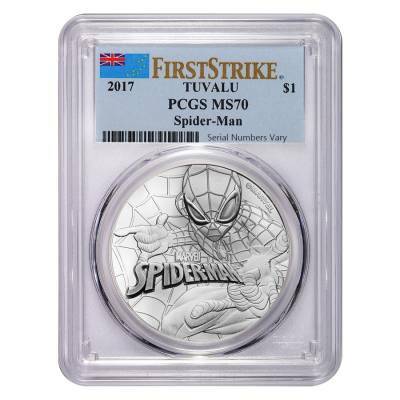 Bullion Exchanges offers this fantastic 2017 1 oz Tuvalu Spiderman Marvel Series Silver Coin PCGS MS 70 First Strike (Flag Label) featuring the worldwide famous hero - the insanely popular Spiderman. Created by Stan Lee and Steve Ditko, Spiderman is one of the most iconic superheroes from the Marvel Comic world. Peter Parker, the original comic-book hero first appeared in the Amazing Fantasy in the 15th issue released August 1962. 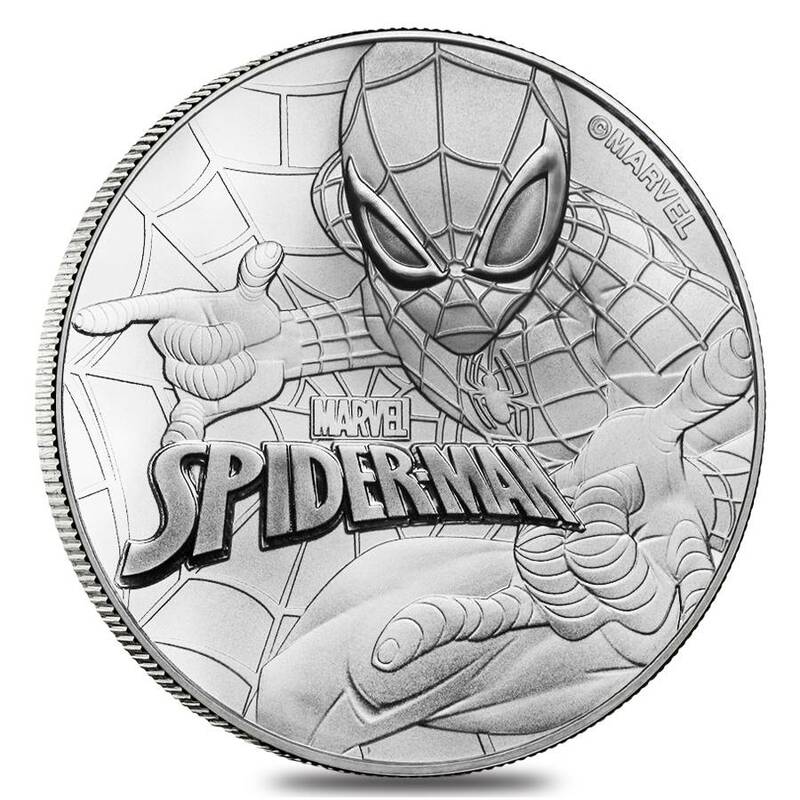 With a limited issue of 50,000 coins, this spectacular silver piece bearing this legendary comic book character is an excellent addition to any portfolio and a treasured gift for any Marvel fan. 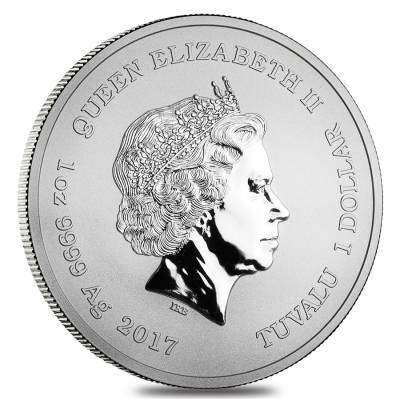 Coin made from .9999 fine silver, weight of 1 troy ounce. 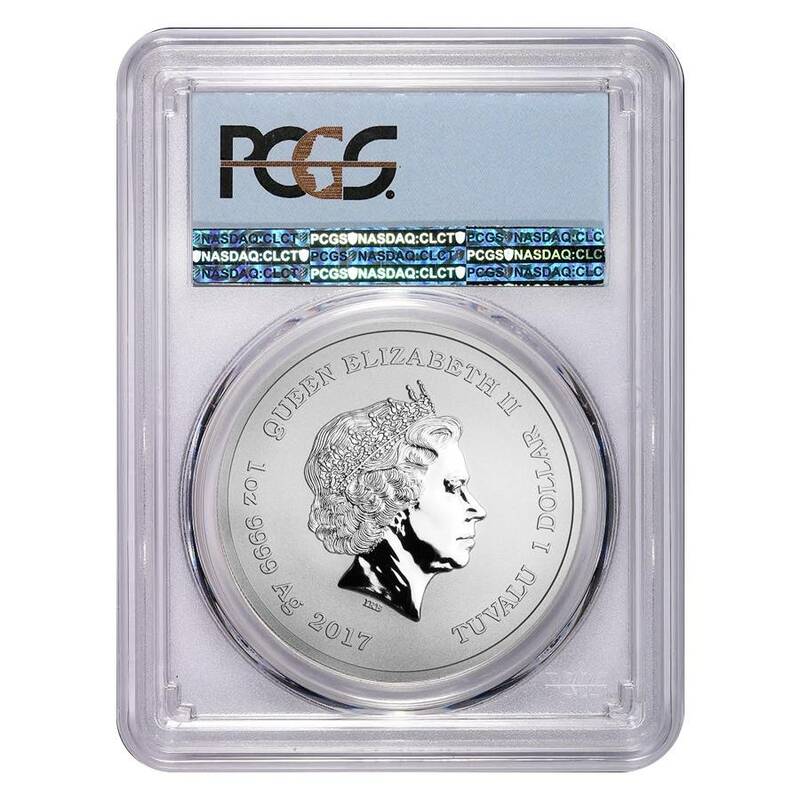 PCGS MS 70 - Fully struck and lustrous, free of visual marks under 5x magnification. First Strike - Coin was verified within the first 30 days of Mint’s release. 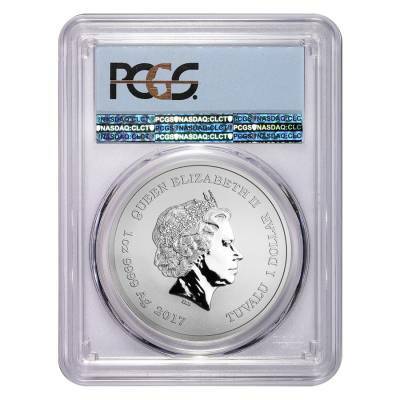 Each individual coin shipped in PCGS Flag Label holder. 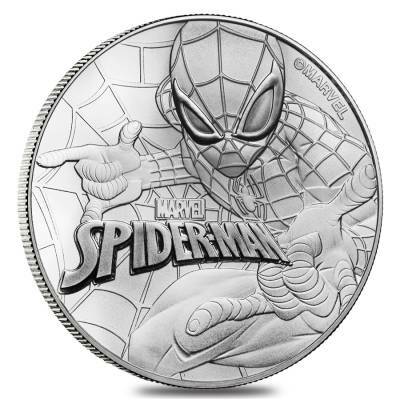 Reverse: Displays the iconic Marvel character Spiderman, framed by the inscriptions “Marvel” and “Spider-Man." 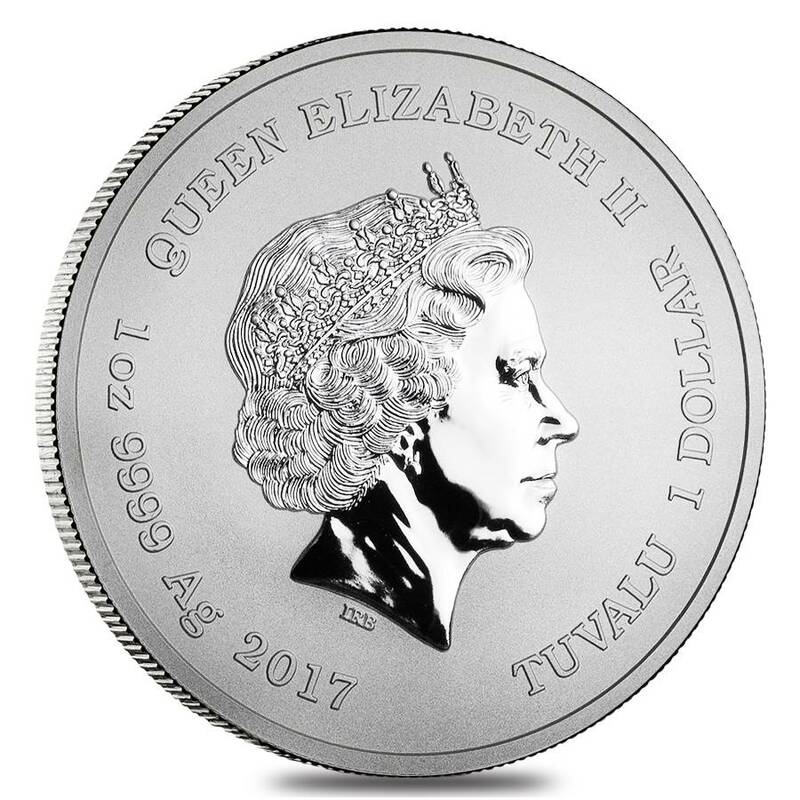 Bullion Exchanges gives you the chance to buy exclusive items from the prestigious international mints. Add these superb coins to your collection today, and it will be carefully wrapped, packaged, and safely delivered to your address. 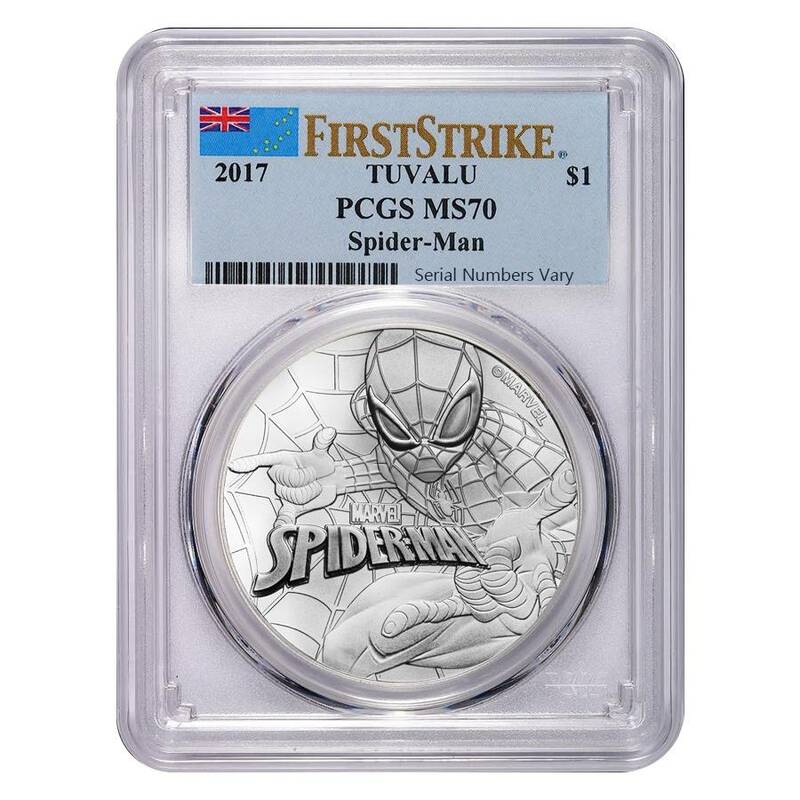 Get this fantastic 2017 1 oz Tuvalu Spiderman Marvel Series Silver Coin PCGS MS 70 First Strike (Flag Label) today!